If you are not among those who are allergic to soy or have been diagnosed as having hypothyroidism, soy foods can be a great addition to your bone-building diet. Not only are soy foods excellent sources of magnesium and vitamin K1 (plus many are fortified with calcium), but they contain active compounds called isoflavones – genistein and ipriflavone, specifically — that greatly help lessen the activation of osteoclasts, the cells that break down bone. To explain this, we need to take a little trip “behind the scenes” for a look at these two molecules, one of which, RANKL, initiates a series of events that results in the production of osteoclasts ready to remove old bone, and another one, OPG, that shuts down this process. When RANKL, which stands for receptor activator of nuclear factor-kappaB ligand, binds to a cellular receptor called RANK (receptor activator of nuclear factor-kappaB), this turns on nuclear factor-kappaB (NFkappaB), a seriously pro-inflammatory messenger. NFkappaB moves inside your cells and goes right to your DNA, where it sets off the production of a whole bunch of inflammatory actors—one of which is osteoclasts. You may remember we’ve said that anything that promotes chronic inflammation promotes bone loss. RANKL’s activation of NKkappaB, which in turn activates osteoclasts, is behind this connection. If we want to keep our bones, we must keep RANKL under control. However, RANKL is not an altogether bad guy we can afford to totally eliminate (which is what some medication does – it totally shuts down RANKL). RANKL’s binding to RANK is also necessary for the activation of immune cells (our T and B cells, specifically), and we must have functional immune systems to survive. What good are great bones if we’re easy prey for destruction by infections or cancer? So, how do we safely put a leash on RANKL? We send in its decoy receptor, osteoprotegerin (OPG), which also binds with RANKL, and thus blocks the interaction between RANKL and RANK, and the activation of NFkappaB. Pretty nifty how our body has worked out this balancing act for us, huh? I envision RANKL as a Conan, the Barbarian, kind of guy, and see OPG as standing for “Oh, Pretty Girl!” Enough OPG around and RANKL will be tamed. Not eliminated (so our immune cells will still mature), but tuned down. In this study, genistein was given to 198 women; the remaining 191 women received a placebo. Both the supplement containing genistein and the placebo supplement contained calcium and vitamin D3, and all the women received the same information about healthy diet. A significant (-0.021) reduction in the RANKL/OPG ratio occurred in the women given genistein, while in the women receiving placebo, the RANKL/OPG ratio worsened (+0.004). Since inflammation plays such a key role in the production and activation of osteoclasts, it’s not surprising to learn that genistein helps prevent both, and in doing so, protects our bones. But soy foods’ special benefits for bones don’t stop with genistein – the other major isoflavone in soy foods, ipriflavone, has also been shown—in many studies now — to prevent bone loss in postmenopausal women. The most recent (March 2012) medical journal paper to be published about the benefits of soy isoflavones for bone health is very impressive, in part because it is a “systematic review” – a meta-analysis of the results of many studies. [xiv] This meta-analysis includes 14 randomized controlled trials that met the criteria of having their primary focus be the impact of soy isoflavones on osteoporosis in women. What did these 14 trials show? Soy isoflavones significantly increased the bone mineral density (by 54%!) and decreased a marker of bone breakdown called urinary deoxypyridinoline (DPD) by 23% in the women in these studies, compared to where they were when the study began. The studies ranged in duration from just one month to two years. Greatest bone benefits were seen in postmenopausal women whose consumption of isoflavones, either in the form of supplements or as constituents of soy foods, was at least 75 mg/day. Yet another even larger review, published December 2011, also looked at the impact of soy isoflavones on bone turnover markers in menopausal women – the time when bone loss accelerates to its highest pitch. [xv] This review was a meta-analysis of other meta-analyses of randomized controlled trials – so it included data from a lot of studies! The results: Soy isoflavones significantly decreased levels of the marker of bone breakdown noted above, deoxypyridinoline. And, consuming soy isoflavones for just six months was long enough to significantly improve the women’s lumbar spine BMD. So, you’re probably wondering: Do I have to take a supplement or can I get 75-90 or even more mg of isoflavones per day by simply enjoying soy foods? Good news – soy can help you eat our way to healthy bones. No need to spend money on a supplement. Just enjoy soy foods, and you can, as the table below shows—easily—get at least 75-90 mg of isoflavones each day. Be aware though that the isoflavone content of soy foods can vary considerably among brands and between lots of the same brand. However, the above values provide a decent estimate. Also, many brands list the amount of isoflavones they contain on the label. Thanks! I was looking for data on soymilk vs cowmilk – hoping to reduce inflammation in a couple of troublesome joints. I have chondromalacia patellar in one knee and a healing metacarpal thumb fracture in one hand. Inflammation is not my friend! PS I think you mean “if you are among those who are allergic to MILK” in your first sentence. I have two suggestions for your joint inflammation –(1) N-acetyl-D-Glucosamine — this is the form into which our bodies convert glucosamine hydrochloride or glucosamine sulfate supplements before the glucosamine is able to be utilized within joint tissue. N-acetyl D-glucosamie is available as a supplement called Ultimate Glucosamine. I have NO CONNECTION with the company that produces this product; I met key doctors involved with this company at an A4M conference about 5 years ago now where the medical journal for which I am the Editor, Longevity Medicine Review, had a booth. At the time, I was wearing a brace on my left hand because my thumb joint was so inflamed (supposedly degenerative arthritis) that I could hardly use my hand. Within about 3 months of using Ultimate Glucosamine, my thumb joint was noticeably improved. Within 6 months, all pain was gone — and remains so. I continue to use Ultimate Glucosamine. You can find this product on line by doing a Google search for Ultimate Glucosamine. (2) Gluten intolerance is very frequently a cause of chronic joint inflammation. Go off all gluten containing grains for 6-8 weeks and see if your joint pain lessens. Gluten-containiing grains include not just wheat, but oats (unless labeled as gluten free), spelt, kamut, rye, and barley. Many processed food products contain gluten; you will need to read labels carefully on any processed foods you purchase; gluten hides out in products where you would not expect to find it, e.g., most ketchups and pizza sauces, soy sauce, even beer! In the first sentence you refer to in the Soy Foods Help Prevent Bone Loss post, I did not mean to limit reactions to soy to only soy milk. The issue is an immune response to the protein in soybeans — all food products made with soy beans will cause problems for persons who are intolerant to soy. my osteoporosis is at the level of high risk for fracture. i have taken many prescription bone drugs for 3+yrs with different results including, dexa improving for a yr. then falling. i took alot of soy products & became hypothyroid. when i reduced the soy intake , my thyroid became normal & stayed. i am fearful of taking soy but can get natto at my local asian store . how much should i take & how often. my doctor is pushing another bone drug…. 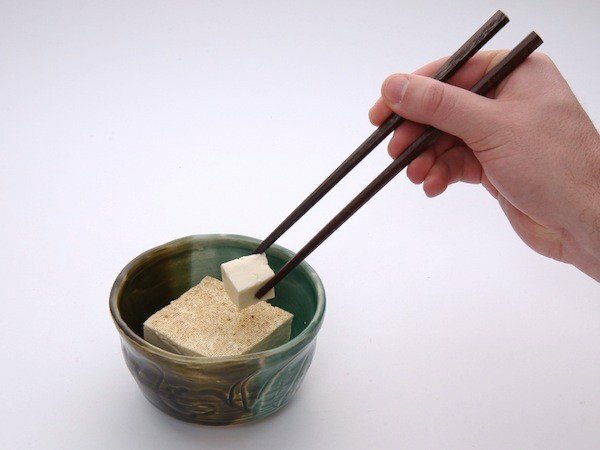 If you react to soy, natto is NOT a good idea for you. Take your K2 as a supplement (MK-7 form has been shown effective in the peer reviewed research at a very low dose, only 100 mcg/day. MK-7 would definitely be preferable for you rather than the MK-4 form for which the dose shown effective in the research is 15 mg/3 times per day.